The traditional keynote speaker business model requires you to trade time for dollars, results in an unpredictable cashflow, and means less time with friends and family. 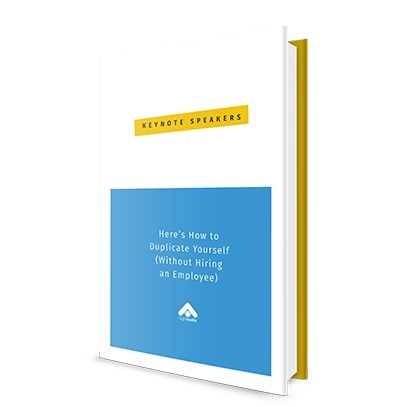 You CAN grow revenue without increasing how many times you speak or your speaking fee – or hiring an employee. 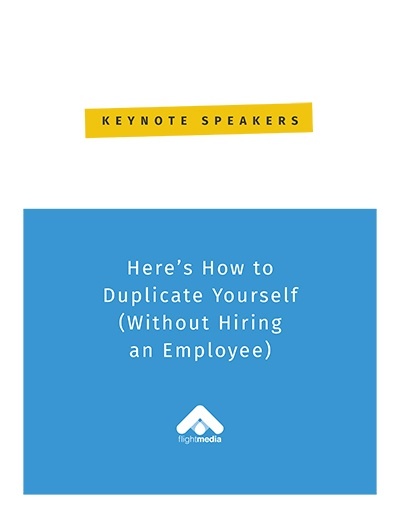 We'll show you 2 areas of your business you can tweak to duplicate yourself. It's a system that works around the clock. Set it up once, and it brings in the revenue 24/7/365. "Josh and his team at Flight Media know their stuff. Period. They've helped me grow my non-speaking income from day one and I know they'll help you grow yours."